Art as an investment is becoming increasingly accepted in the financial world and is considered as an aesthetic pleasure with the potential for financial long-term benefit. As art prices have increased, investors are becoming more likely to include art in their portfolios. The world’s wealthiest families and largest companies have been collecting art for hundreds of years and know this all to well. Do you LOVE a good tax deduction? Whether you've got a home or a corporate office now is the perfect time to buy art! Did you know art purchases for up to the value of $20,000 may be 100% Tax deductible for small business taxpayers and there is no limit to how many artworks a small business entity can claim. 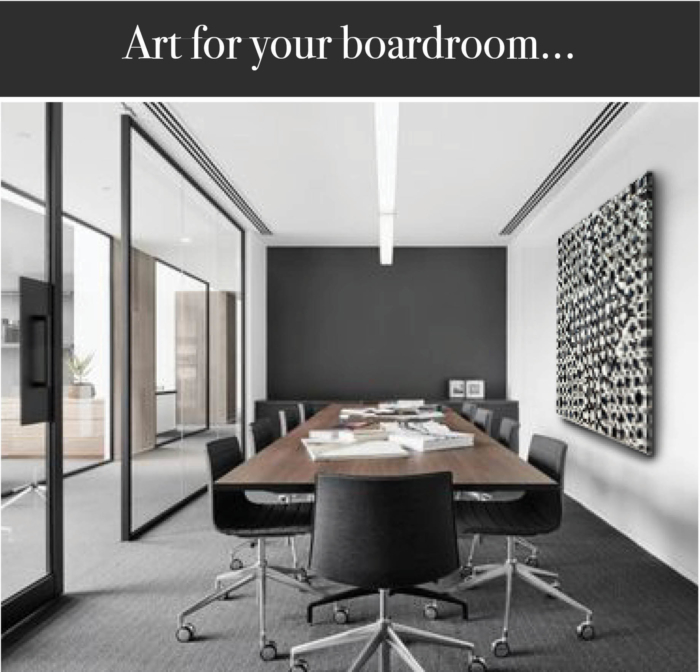 With the extension of the Australian federal government’s $20,000 business asset write-off, for small business entities, now is a great time to purchase artworks for your workplace. The Instant Asset Write-Off for small business entities has been extended to 30 June 2018. The turnover threshold has also been lifted to entities with a turnover of less than $10 million, five times higher than what was originally available. One main reason for investing in art other than for their beauty, is that the price of an individual work of art could perform better than average, just like stocks. Why buy art for the office? 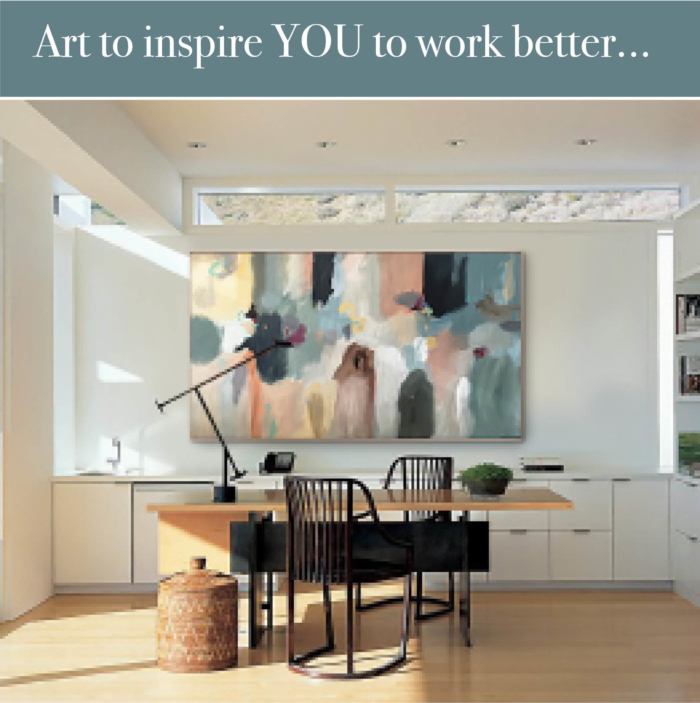 Bare walls are not inspiring and by surrounding yourself and co workers with stimulating original art sends a message about your values and is a freedom of expression. Not to mention it shows you have an interest in aesthetics and care about your space’s appearance conveying a free-thinking and creative work environment. 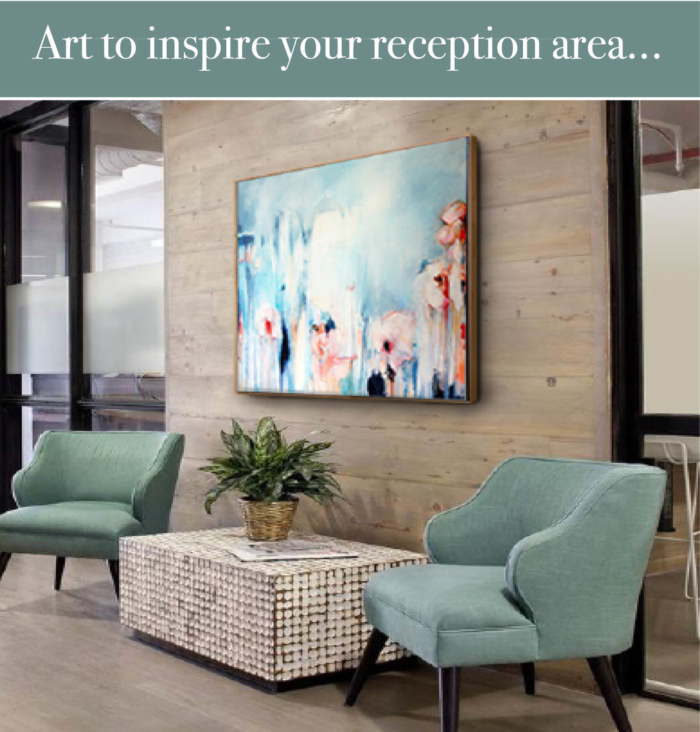 Be sure that what art you choose aligns with the values of your company which means a client is more likely to take your business more seriously and feel more at “home” in your office. If you have the space, big, bold pieces really brighten up the office. 1. Buy what excites you rather than what is fashionable or the latest craze. That way you get pleasure from your investment every day while its value appreciates. 2. Decide what you are comfortable spending and buy the best you can afford. Look for works that have a better than average chance or providing you with a good appreciation in value over time. 3. As with all commodities, try to buy low and sell high. The art market can turn quickly and artists can go in and out of favour. Art is a long-term asset. Consider how long you are prepared to invest time in the artwork as it appreciates. Set a goal, is it a 10 or 20 year investment? Buy original art. An original artwork will maintain its value and even people that don’t know a lot about art can spot a replica or inferior product. If you buy an original painting, you will be the only one that has it which says you understand about being unique. When you collect art, particularly emerging artists you are supporting an artist in their creative journey. Always ask for a Certificate of Authenticity and a receipt as evidence of your purchase. Any artworks above $2,000 should be specified on your home and contents insurance, or business premises insurance, as the case may be. Remember to buy before June 30th, 2018 to claim the Australian Government $20,000 tax incentive. When is the best time to buy art as a tax deduction? How do I get more information to see if this applies to our business? We strongly recommend consulting with your tax professional regarding whether your business may be eligible for the deduction described herein. Disclaimer: This document is not intended to offer any financial or taxation advice to readers. We recommend you consult with your financial and/or taxation adviser, prior to making any decision.